A docent from the Asian Art Museum in San Francisco will share images and information about the Indian art through its major belief systems: Hinduism, Buddhism, Jainism, and Sikhism. 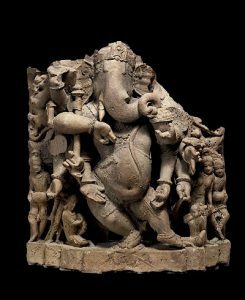 Enjoy the variety of styles, the myriad of media, and the astonishing skill evidenced in the art of South Asia from 4000 years ago through the 18th century. Sponsored by the Friends of the Alameda Free Library in partnership with the Asian Art Museum.